Private boat trip as indicated in the itinerary. 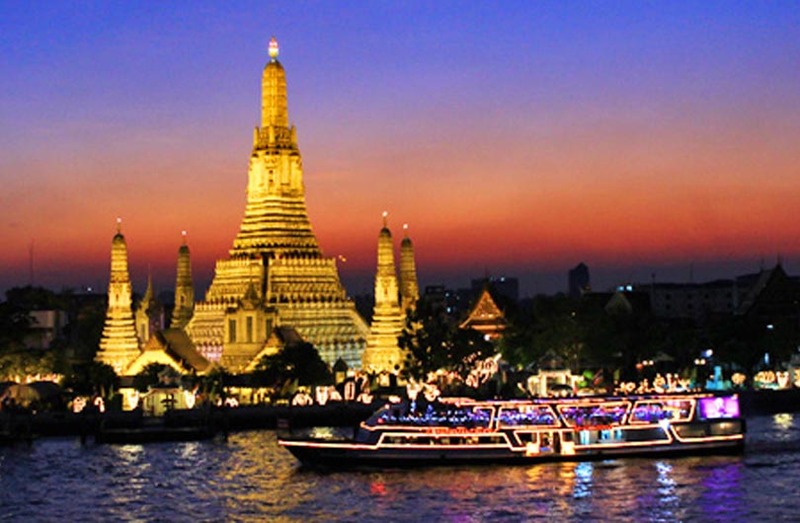 Upon arrival in Bangkok, you will be met and greeted by our guide for transfer to your hotel. After an early start to the morning, head to Wat Pho just in time to experience monks performing an early-morning ritual of chanting (chanting starts at 09:00). After this uplifting and often private experience, visit the temple grounds and the famous 45-metre reclining Buddha. From there, continue to the Grand Palace, Thailand’s most important landmark, and be awed by the grandeur and majesty of the building and its throne halls. Then marvel at the mysterious Emerald Buddha, the most revered Buddha image in Thailand. Lunch is at Sala Rim Naam, one of Bangkok’s most prestigious dining venues on the banks of the Chao Phraya River, operated by the Mandarin Oriental Hotel. Early in the morning, set off through the lush Thai countryside through endless rice paddies and fruit orchards. At Ban Pakkard, clear Thai Immigration and customs and say goodbye to the Thai guide. Then, make a short walk to the Cambodia side of the border at Psar Pruhm. Here, meet the Cambodian guide who will assist with immigration and customs formalities. From here drive east, first through Pailin and then on to south to Battambang (two hours) along a bumpy tree-lined highway that cuts through an amazing countryside dominated by rice paddies and sugar palm trees. In Battambang, check into the hotel. The afternoon will be at leisure to relax by the hotel pool or stroll through the charming town centre. A special visit awaits at Phare Ponleu Selpak. School of Music, Visual & Performing Arts – Phare Ponleu Selpak combines the Arts to provide education, support and entertainment to the poor communities. This project is a success story of how humanitarian aid work can turn into a display of zest for life, genuine warmth and creativity, against all odds. A visit to one of their circus shows leaves a lasting memory of the wonderful Cambodian people and should not be missed when in Battambang. (Note: The circus performance is only performed regularly on each Monday & Thursday. On other days private performances are available on request and for a supplement). After the show, head to Jaan Bai. Meaning ‘rice bowl’ in Khmer, this social enterprise run by the Cambodian Children’s Trust works to break the cycle of poverty in Battambang by empowering underprivileged children. The training and development restaurant is located in an original French colonial building in the heart of Battambang. Jaan Bai uses seasonal organic produce sourced from their kitchen garden, local farmers and neighbouring markets. Enjoy a tasty menu showcasing the best of Southeast Asia with Western influences. Battambang’s countryside is what makes this pleasant river town a real treat. The town is situated along the Sangker River, a quiet and small body of water that finds its way through Battambang Province. First head towards Phnom Sampeau, meaning “Ship Hill” in Khmer, due to its distinctive shape, and one of the few hills standing out in this otherwise pancake-flat plain. From the small temple on the top, take in fantastic views over the landscape of paddy fields and sugar palm trees. Phnom Sampeau is home to the notorious killing caves, which are cruel reminders of Cambodia’s troubled past. Serenity and inhumanity represented in one place make this an interesting visit. Then, one of the highlights and a unique experience: A fun ride on the famous Bamboo Train, an original means of transportation on old train tracks. A true rollercoaster ride without loops! Return to the hotel to take a break around midday. In the afternoon follow the guide’s lead hrough local villages and farms on the way to Wat Banan, an 11-century temple on a mountain top situated between lush paddy fields and beautiful lotus ponds. The climb is a short but tough one, over steps that seem to have all sizes. On top of the mountain, enjoy views over the beautiful countryside and wander around the ancient temple, which is also home to finely scented flowering trees. Later, be taken to some of the many cultural villages around Battambang and learn how the locals produce rice paper, prahoc (typical Cambodian fish paste), grolan (sticky rice stuffed in bamboo), and other Cambodian treats. There will also be a visit to a weaving and handicraft centre in another village. Enjoy dinner at leisure. Today, embark on one of the most stunning boat trips in Cambodia while being taken from Battambang to Siem Reap by a comfortable private boat. A packed lunch will be provided on board. (Duration 6-7 hours). First, float along the Stung Sangker River until reaching the Prek Toal Bird Sanctuary, one of the most important breeding grounds for waterbirds in the region. In addition to being the largest freshwater lake in Asia, Tonle Sap Lake is exceptional for the yearly cycle of its expansion – growing nearly five times as big during the rainy season. The water of its main drainage, the Tonlé Sap River, is pushed back from the Mekong, carrying an incredible amount of water from the rains, causing the river to reverse its direction and thus causing the lake to overflow. The result is an aquatic ecosystem which supports an extraordinarily rich assortment of wildlife and biodiversity. The Lake is also an important breeding ground for fish, providing more than half of the amount of fish consumed in Cambodia. Because of the extreme transition between wet and dry season, local people have adapted their living styles in interesting ways. While cruising, there will be many chances to see ‘floating’ villages perched on stilts. Arrive in Siem Reap mid-afternoon, the gateway to the majestic temples of Angkor and a charming little city. Enjoy some time at leisure to discover Siem Reap or to relax by the hotel’s charming pool. Today, start the day with a visit to Angkor Wat from the East Gate. See the famous bas-reliefs including the Churning of the Ocean Milk, Suryavarman II’s army and the Ramayana. Spend the rest of the afternoon playing the part of Indiana Jones while exploring fascinating and mysterious ancient temples. Around noon, head to Siem Reap town for a delicious lunch at the stunning Chanrey Tree Restaurant. After filling up and taking some time to relax, head back to Angkor and continue exploring the ancient city with a visit to Angkor Thom. Angkor Thom was the last capital of the Great Khmer Empire under the reign of Jayavarman VII. This city is surrounded by an 8-metre-tall wall, drawing a perfect square. 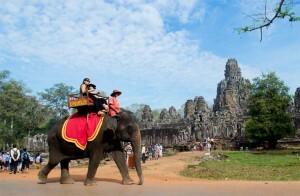 Enter the city from the ancient South Gate, an impressive stone gate carved with elephants and four giant faces. End the day with a relaxing cruise in a gondola paddle boat at the moat of Angkor Thom compound while watching a spectacular sunset at Prasat Chroung Temple. Cocktails, champagne, canapés and a soft drink are available to enjoy on the boat while it paddles slowly along the ancient moat. This morning, drive out to Banteay Srei, “the citadel of women”. Although it’s a small temple, its charm lies in its exquisite carvings in red sandstone. Located about 16 miles northeast of Angkor Wat, this 10th-century red sandstone temple is rightly considered one of the jewels of Angkor and, in the words of H.W. Ponder, is “a fairy palace in the heart of an immense and mysterious forest”. Return to Siem Reap through the beautiful countryside. Be treated to a once-in-a-lifetime experience while taking in the incredible Angkor complex from the skies. This is the best way to grasp the enormity of the temple complex and the grandeur of the Khmer Empire. 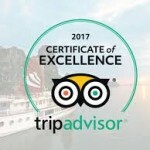 Flights last either 8 minutes or 20 minutes, and also include a quick tour of Tonle Sap for a look at its floating villages. Afterwards, Indulge into a delicious lunch at Viroth’s and take a rest at the hotel to escape the midday heat. In the afternoon, head out by tuk tuk for a visit of Ta Prohm Temple. This temple is unique in that it has been left largely as it was found: overgrown by jungle trees and vines, with many parts of the temple crumbling to the ground. This makes Ta Prohm one of the most picturesque and memorable of the Angkor temples. From there visit beautiful Neak Pean Temple—the ‘coiled serpent’ temple which is a central sanctuary surrounded by four ponds. In the evening, a dinner of Khmer specialties will be accompanied by a special Apsara dance performance. Today, set off south towards the country’s capital. On the way, stop at the Khmer-era Spean Praptos Bridge near Kampong Kdei, More than 1,000 years old, it’s still possible to walk the short distance across what used to be the longest corbeled stone-arch bridge in the world, with more than twenty narrow arches. The bridge was built in the 12th century during the reign of King Jayavarman VII and is one of few remaining bridges to have survived from the Khmer Empire to modern day. There is an optional visit to Phnom Santuk for active people who enjoy a little exercise by climbing the 809 steps up mountain. The site is considered holy and is a popular pilgrimage site for Buddhists. The reward is spectacular views over the Cambodian countryside (for the not-so-active it is also possible to drive up!). The next stop is Santuk Silk Farm, established by Bud Gibbons, a Vietnam War veteran. Here, see the process of silk creation from growing and harvesting mulberry as food for the silkworms, to the breeding process and lifecycle of them. Watch the village ladies working at looms while preparing scarves which can also be purchased. There is no obligation or ‘hard sell’ to buy. After the short tour it is time for lunch served at the silk farm. Continue to Phnom Penh, arriving later in the afternoon. Phnom Penh was once considered one of the most beautiful cities in the Orient and, despite its recent turbulent history, still retains a colonial charm. Cambodia’s capital is a bustling city, majestically located at the confluence of the mighty rivers of the Mekong and Tonlé Sap. Wide tree-lined boulevards and many colonial-era buildings reflect the glorious days and add to the charm of the city, where Asian and Western traditions meet in a fascinating way. Dinner is served at Pkar Romyool Restaurant. Set in a stunning colonial building, this property was once a cinema and theatre with an incredible open-air courtyard to sample some of Cambodia’s traditional delicacies. This morning, be greeted by a driver and head on a tour to the most remarkable sights of Phnom Penh in a cyclo, an original Phnom Penh means of transportation and a very fun way to explore this lively city. While touring the city, see some of the architecture including the Central Police Station, the Post Office, the Bibliotheque, the railway station, and the former Chamber of Commerce. First, visit Wat Phnom, which is situated near the northern boundary of the city. The site contains some good examples of Khmer architecture and statues. Continue the tour to the Royal Palace. This palace dates back to 1866 and was the last palace built during the French colonial period. The same complex houses the Silver Pagoda, named for the over 5,000 heavy silver tiles that cover its floors. Its original name is Wat Prakeo, meaning Temple of the Emerald Buddha. In this temple, view a collection of Buddhas in gold, silver, crystal and bronze. Enjoy the views of the charming French Quarter just next to the historical Post Office while being treated to a fine lunch at Van’s Restaurant, which is located in an elegant French-colonial house still owned by the founder’s family. This afternoon, visit the Russian Market, one of the city’s most popular markets where one can find beautifully woven Khmer silks and cottons, basketry and wood carvings. For lunch, be treated to a delicious Khmer meal at Bopha Titanic with some excellent views of the Tonle Sap River. Later, board the Blue Cruiser boat for a trip down the Mekong River and across the border into Vietnam into the town of Chau Doc. On arrival, meet the Vietnamese guide and transfer to the hotel. In the afternoon, head to nearby Sam Mountain for sunset. There are dozens of pagodas and temples around Sam Mountain, and reaching the peak is the highlight of the visit. The views from the top are spectacular. Weather permitting, one can easily look out into Cambodia. This morning, visit the local market overlooking the confluence of three rivers and later take a boat to Chau Giang District where a tiny mosque serves the local Cham community. The Cham minority once dominated coastal Vietnam from the 2nd to the 9th centuries. The Chams also practice silk weaving, and there may be an opportunity to see them at work. Also visit a beautiful Khmer temple and, later, visit floating houses that double as catfish farms which have become a huge industry in Vietnam. Return to land for a drive to Can Tho. En route, visit the bamboo basket-making hamlet of Long Thanh before continuing on to Can Tho. Upon arrival, transfer to the hotel and spend the rest of the evening at leisure. Can Tho is a university town on the confluence of three rivers in the heart of the delta. The Mekong Delta was once part of the Khmer Kingdom, and today many ethnic Khmers still live here. Make an early start this morning with a visit to the lively and colourful floating market of Cai Rang, which is in full swing by 07:00 (recommended early start for this day). Take a small boat and explore the waterways which are packed with people who come from the surrounding rural areas to sell all manner of fruits and vegetables. After the market return to Can Tho by boat through the back canals and waterways where for a view of everyday life along the delta’s arteries. Along the way, look for ‘monkey bridges’: narrow, flimsy bamboo bridges that span the canals. Later, visit the Muniwangsyaram Pagoda, a typical Khmer-Buddhist pagoda with friendly monks and an informative local museum displaying the history of the area. After returning to the hotel, the rest of the day is at leisure. Lunch included at Sao Hom Restaurant. Set off early in the morning for Ho Chi Minh City. With a population of over 6 million people and a booming free-market economy, it is easily the most metropolitan city in Vietnam. 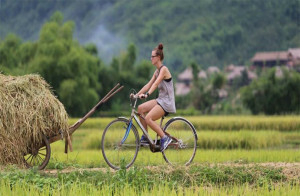 Commonly referred to by its former name, Saigon, it’s a city of amazing contrasts: soaring new international hotels, exclusive restaurants and trendy bars sit side-by-side with roadside noodle stalls, street children and vociferous cyclo drivers. On the way to Ho Chi Minh City, stop in Vinh Long for a cruise aboard the delightful Cai Be Princess Boat. The cruise starts crossing the wide Co Chien River, one the largest arms of the Mekong River. Enter Dong Phu canal, passing along An Binh and Binh Hoa Phuc islands famous for their fruits orchard plantations. A stop will be made at Tam Ho bonsais garden before proceeding on a narrow canal to have a closer observation of the beautiful landscapes. These evergreen islands among the Mekong River bring about large networks of meandering rivers, criss-crossed with countless arroyos. Cai Be is known for its huge floating market, where displays of produce are hung from bamboo poles over the host boat in order to attract customers. From here the journey continues across the upper reaches of the river to a maze of tributaries and fruit plantations. Barges ply the route, overloaded with rice husks used as fuel for the region’s numerous brick kilns. 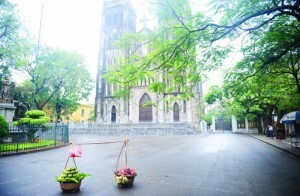 The sampan will proceed to Phu An hamlet passing by Cai Be Church overlooking the river. Stop on the way at local cottage industries to see how rice paste is made as well as rice and coconut sweets. Lunch awaits at Le Longanier, a superb Indochinese villa located in a lush tropical garden by the river, surrounded by fruit orchards. Disembark in Cai Be and meet the car to continue the journey to Ho Chi Minh City by road. Upon arrival, the rest of the evening is at leisure. 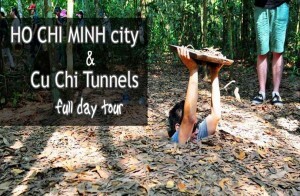 This morning, visit the former Vietcong tunnels 25 miles northwest of Ho Chi Minh City. The 150 miles of tunnels are evidence of the tremendous ingenuity and resourcefulness that are characteristic of the Vietnamese. It was from here that the North Vietnamese waged their guerrilla warfare. While exploring the jungles of the area alongside the guide, see secret trap doors, underground kitchens, living areas and meeting rooms. The more adventurous may explore the deeper second, and even third level tunnels. For those who prefer to remain above ground, there is ample opportunity to view excavated areas from above. The guide will advise on the length and level of difficulty of each tunnel before entering – some are easily accessed by stairs. Return to Ho Chi Minh for a late lunch, and then enjoy a tour of the highlights of the city. Begin with a visit to the Reunification Palace, a 1960s award-winning building that was the South Vietnamese Presidential Palace and headquarters for the Saigon Government during the Vietnam/American War. Now preserved as a museum, the tour will also include the underground communications bunkers. Continue to the History Museum, housing an excellent display tracing the origins of the indigenous Vietnamese. There will also be an opportunity to see a delightful performance of Water Puppetry on the grounds. Visit the neo-Romanesque red-brick Catholic cathedral of Notre Dame as well as the nearby 19th century Post Office and the ‘Hotel de Ville’ or City Hall. Then walk along Dong Khoi Street, formerly known as Rue Catinat, which has some excellent shopping. Return to the hotel to refresh before a farewell dinner in one of the finest restaurants in Ho Chi Minh City.